What are the best gratitude quotes? Looking for inspirational Thanksgiving quotes? As we gather with friends and family to feast and fill our bellies with festive delights, one can’t help but wonder about the gratitude of it all. A common Thanksgiving tradition for many of us includes going around the table saying what we’re grateful and thankful for this year (or maybe that’s just on television). At that moment, when everyone turns to look at you and it’s your turn to be thankful. For the sake of the holiday ritual, you push past the bad memories, the complaining, the thoughts of everything that went wrong and focus on the good. You dust off your attitude of gratitude, slap on a smile and express what you’re most thankful for. By doing this you unleash the power of gratitude in your heart. Perhaps that simple act is what makes it a Happy Thanksgiving. Despite Thanksgiving’s heartbreaking history in the Americas, we continue to celebrate it. To look past tragedy and still see value in this tradition. Thanksgiving is NOT about the stomach-stretching amounts of food, the decorations, the leaves changing or any of the other frivolous festive features. Just you being thankful, and you don’t need a holiday or even a turkey for that. Just a quiet moment to appreciate all you have. I hope for you this year that this exercise in gratitude is genuine, and that it’s not just a once a year practice for you, but a part of your daily routines. As you’ll see from these inspiring gratitude quotes, the simple act of practicing an attitude of gratitude, regardless of what’s going on in your life, can change your life. This Thanksgiving, instead of just saying Happy Thanksgiving, why not express gratitude instead? Here are 37 of the best gratitude quotes for a truly Happy Thanksgiving. What exactly is gratitude? It is a feeling, a sensation, a Thanksgiving ritual, or something more? We say things like, “be grateful” or “be thankful,” but what does it mean to have gratitude? 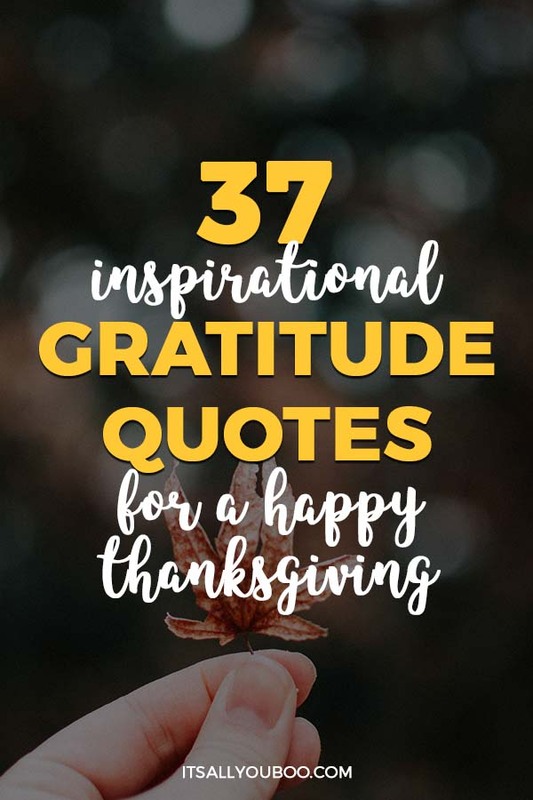 From thankfulness to happiness, this collection of inspirational gratitude quotes will help you define and understand what gratitude really is this Thanksgiving. What’s the reason for practicing gratitude on Thanksgiving or any day? Why is gratitude so important? Gratitude has the power to change everything for you – from your perspective on life to unlocking the bounds of joy and happiness. This collection of inspirational gratitude quotes can help you literally have a Happy Thanksgiving. Now you know that gratitude is important, but what are the benefits to your life? We all talk about the power of positivity, but what’s the power of gratitude? The following inspirational gratitude quotes reveal the power of practicing gratitude this Thanksgiving. We all know that we should practice daily gratitude, not just on Thanksgiving, but are we? It’s easy to think about things like thankfulness, and an attitude for gratitude when presented with a feast, but what about every other day? This collection of inspiring gratitude quotes portray the benefits of a grateful heart for everyday life. Being grateful doesn’t only change your perspective of what you already have and make you more appreciate, it helps you attract even more. The secret to living life abundantly is to be grateful! That attracts more abundance to you. The following Thanksgiving gratitude quotes inspire you to not only be thankful but to also embrace the abundance mindset. How can you practice gratitude? 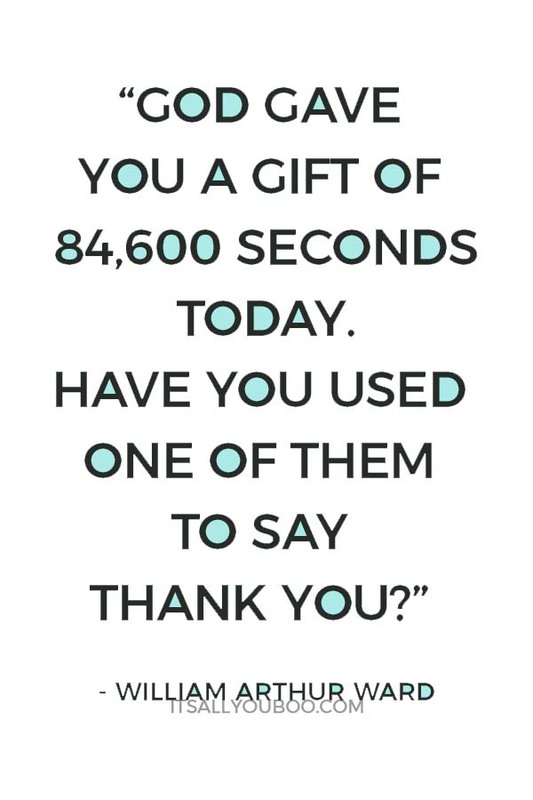 Do you say thank you, share your appreciation, or something more? Gratitude is not just words, it’s actions. How can you act with gratitude? 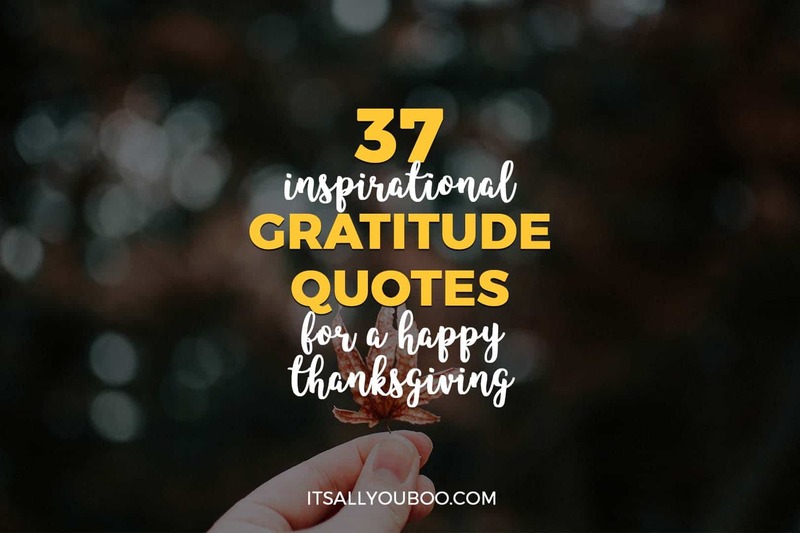 This final selection of inspirational gratitude quotes encourages you to live and act with gratitude, not just words this Thanksgiving. Gratitude is not for you alone, show gratitude to others! 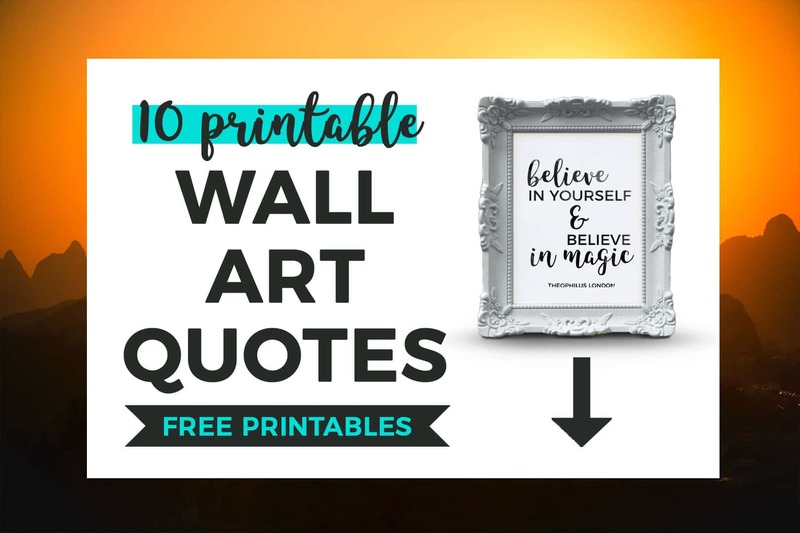 Be inspired by gratitude with these beautifully designed printable quotes that are perfect for your office, bedroom or wherever you need the reminder to believe in yourself. Each design features brushed-ink letter detailing. This download comes with 10 high-resolution black and white quotes ready to be printed and posted. Print and post these beautiful quotes anywhere you need to constantly remind yourself that you can. Sign up below for 10 FREE Printable Wall Art Quotes + get weekly tips to help you slay your goals. Let gratitude be part of your everyday life, may you greet every challenge with a heart of thankfulness. I know from experience that once I changed my perspective from what I don’t have, to what I do, from what I haven’t accomplished to what I have, everything changed. Be grateful, be thankful, even if it feels disingenuine at first. Don’t just do it once and say it doesn’t work, but wake up the next day and practice daily gratitude again. Close your eyes, say a prayer, write a note of thanksgiving, or take a moment to appreciate something in your life. There are no rules for practicing gratitude, just as long as do. What’s your favorite gratitude quote for Thanksgiving? Love number 33!! A simple act can change someone life!! Right, such an amazing gratitude quote. Let’s not just be thankful, but act with thanksgiving. Awe I love the quote from Doris Day! And what Willie Nelson said about gratitude means so much considering at one time he was homeless. These are great reminders, thanks! Aren’t they just the best thanksgiving quotes. Willie’s quote gives us such perspective and pause. 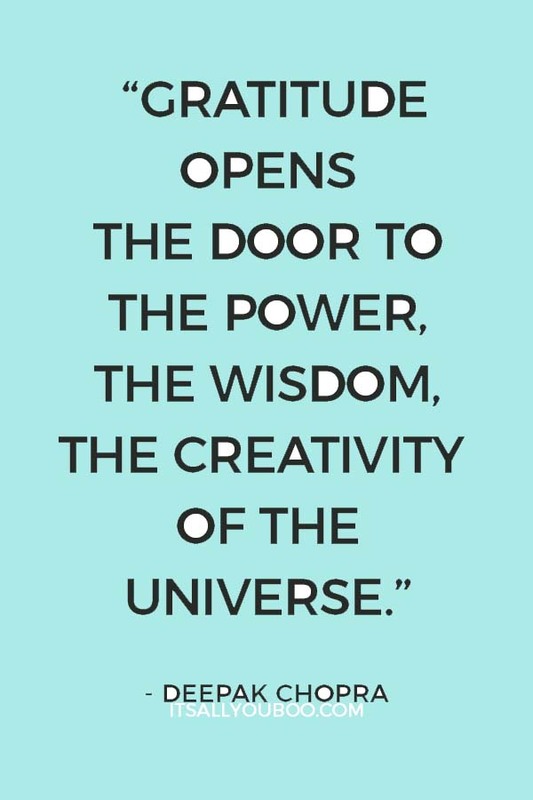 So agree – Doris Day has such powerful quotes too. I love 20! It reminds me that a shift in perspective definitely can turn any complaint into gratitude. YES! Honestly, it really can. I’ve been trying to just live in appreciation and it’s made such a difference. I love number 19. If you focus on the positive things, you’ll find some many things to be grateful for every single day and how blessed you really are. I agree with you so much! Gratitude is a form of positively. And just taking a minute to appreciate how blessed we can make such a difference. this is great! this is my favorite part about this time of year is the reminder we get to show thanks & gratitude! Agreed, such the perfect season to be thankful! These are great! I’m going to read some at Thanksgiving this year. It’s so important to take a few moments to really feel thankful for everything! Happy Thanksgiving! What a great idea, and way to help others practice gratitude too. I love quote 17, John Ortberg’s quote, saying that when we are grateful, we focus more on our gifts rather than ourselves, and I think that is so true, especially in my life! 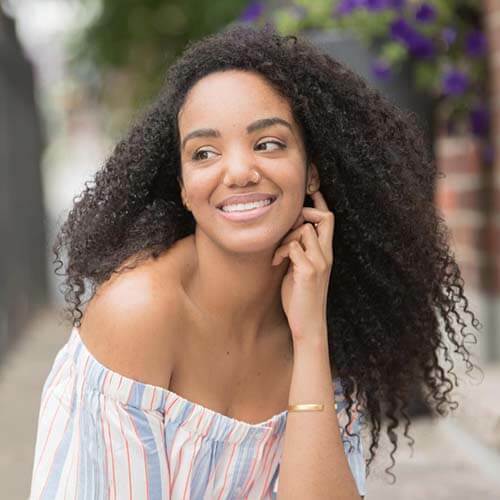 I also love quote #19—striving to think about my job as a source of joy and love in my life instead of focusing on the stresses of my job not only helps me have a better attitude towards others and the job in general, but also helps me to perform better! I really do love the gratitude quotes you singled out. It’s so true how even just our perspective about our job and our work, can change so much. Less seeing it as a pain or stress and as a joy. We’d all be so much happier if we have love for our work. I am loving this gratitude post. Being grateful is very important. I try to stay grateful for everything. It keeps me happy and sane. Happiness and sanity are amazing side effects of gratitude! Happy Thanksgiving! You’re so right! We’ve got it better than most. Very inspirational and a great reminder that we should be grateful for what we have year round. it is richness indeed, we are so used to complaining all the time about everything and we forget to stop and look at all the goodness! YES! A heart full of gratitude is essential in my book. And it’s a muscle, the more you stop complaining and choose instead to be thankful your mindset changes. Gratitude is one of the keys to living a happy life. Thank you for sharing these! You’ve said it perfectly! It really is. Oh my gosh so many great quotes. I’m going to memorize a few so that I’m not at a loss for words on Thanksgiving! Aren’t they though? Ohhh, that’s a great idea! Happy Thanksgiving! I love these Thanksgiving quotes. The one from Doris Day warms my heart! Living in gratitude is the best way to live. Cheers! Nothing like a warm heart this holiday! Happy Thanksgiving! As a matter of fact, I am grateful for this post because it is on the money with my thinking, my views and how important I think gratitude in one’s life is! Nothing beats a perfectly timed post. Yay for getting into the gratitude mood! Such a lovely collection for Thanksgiving! Great post to get us all in the right spirit! Happy Thanksgiving, Shannon! 100% agree with you, they’re perfect for getting into the right mindset. Being grateful has literally changed my life! I spend some time every morning just counting my blessings and thanking God before I start my day. It has transformed my attitude and my outlook on life! You and me both! That’s a beautiful way to start each and every day. Having an attitude of gratitude really has been everything for me as well.